South African Revenue Service (SARS) Commissioner Tom Moyane maintains that Jonas Makwakwa, Chief Officer for Business and Individual Taxes, had every right to be back at work. And that remained the line the tax boss held tight as he received a sharp tongue lashing in Parliament’s finance committee for his management of the public controversy over Makwakwa’s series of ATM cash deposits totalling R1.7-million, flagged by the money laundering watchdog, the Financial Intelligence Centre (FIC). It was a technicist, legalistic stance proffered to MPs on Tuesday to maintain the tax collector’s narrative that nothing’s wrong. By MARIANNE MERTEN. As always, the devil is in the detail. SARS Chief Officer for Business and Individual Taxes Jonas Makwakwa never actually faced any misconduct inquiry over the cash ATM deposits into his account and that of his fellow SARS official and girlfriend Kelly-Ann Elskie between 2014 and 2016. That’s because law firm Hogan Lovells, hired by SARS to review independently what the Financial Intelligence Centre (FIC) flagged as suspicious transactions in a May 2016 report to tax boss Tom Moyane, had cleared the top executive. Or, as MPs were told: Makwakwa fully and satisfactorily had explained the series of transactions to the law firm, so there was no misconduct and nothing to pursue on that count. “They (Hogan Lovells) did not deal with criminal matters. That’s the Hawks. This is not an area of my command or purview,” said Moyane. And the internal disciplinary hearings under an independent chairperson dealt with Makwakwa’s failure to disclose conflicts of interest, properties and a telephone call he made to a tax official in contravention of the rules of suspension. As these proceedings also cleared Makwakwa, he returned to work on 1 November. Questions from MPs as to whether it would have not been more prudent in the interest of SARS’ reputation not to lift the suspension, given these other investigations, were sidestepped and not answered. The SARS boss emphasised in a low, slow and deliberate tone that he had followed all the processes he was required to – “I have done what is correct in my purview,” he told MPs – including meetings with FIC after receiving its confidential report in May before Makwakwa and Elskie’s suspension in mid-September 2016. Co-incidentally, Elskie has not yet appeared before a disciplinary hearing as she was on maternity leave and questions have been raised as to whether such proceedings could take place at this time. Moyane’s tone was picked up by MPs, who previously had complained of obfuscation and “fuzzy” answers. Finance committee chairperson Yunus Carrim said Moyane still accounted to Parliament, regardless of any legal issues related to disciplinary and other in-house matters. 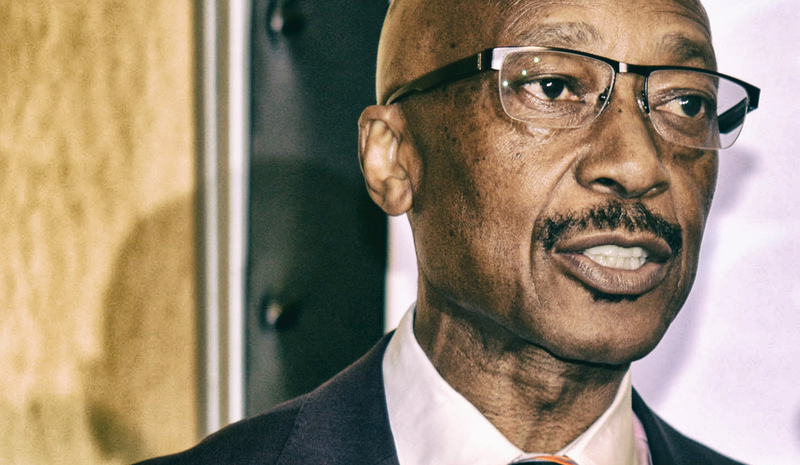 The committee’s 6 November request for the disciplinary inquiry report was met with a counter-proposal by Moyane for legal teams of SARS, National Treasury, FIC and Parliament to “engage” first. Equally technicist was SARS on Makwakwa’s R930,000 bonus. “He was never paid any bonus for the financial year under review (for 2016/17). We followed all the processes,” said Moyane. The bonus related to his performance of the previous 2015/16 financial year and was paid before Makwakwa was suspended in mid-September 2016, SARS argued in maintaining that it has stuck by its rule that officials on suspension are not paid bonuses. “SARS has historically sought approval from the minister when effecting such performance bonus payments; however, on the strength of the legal advice obtained, the historical approval was not obtained,” the Auditor-General said in a note to the financial statements. The dispute led to the delay of SARS submitting its annual report and financial statement last week, well past the statutory end of September deadline. But SARS on Tuesday seemed to finger the Auditor-General for this delay, saying SARS had finalised its documentation on time. And again, SARS is playing hardball. The tax authority may no longer go to court to challenge the Auditor-General’s view, but SARS is seeking a declaratory order that there was no need for such a ministerial nod for executive bonus payments. MPs were told the tax authority had obtained three legal opinions, including one received 18 months ago, that it’s view – not that of the Auditor-General – was the correct one. The only legal limbo presently was who would pay Moyane’s bonus. MPs were told legalities being looked at currently indicated that the SARS commissioner’s performance bonus might be determined by the appointing authority, President Jacob Zuma.